You’re on the phone deep in conversation when something stealthily scuttles across the wall in front of you. It pauses ever so briefly just to check if you’ve spotted it and just as you reach for your shoe it shoots off into a crevice down beside the cupboard and magically disappears. It is unmistakably a cockroach. The third you’ve noticed within as many days. It could be a cockroach infestation! Bug sprays just aren’t working so it’s time to turn detective and discover where these ugly critters are making themselves at home. Cockroaches can make themselves very comfortable in many areas of your home. For those people living in more humid regions, unfortunately you are more likely to be inundated with cockroach infestations as they love the warm weather. Cockroaches breed and thrive in warm, damp areas and multiply very quickly. German cockroaches have a growth cycle of just 1 month and with each egg hatching 40 babies, you’re up for some fun times if you don’t get onto the problem quick smart. If you’re looking for your cockroach breeding ground, start your search in areas that are damp and warm. There are at least five breeds of cockroaches in Australia and they can enter your home through vents, gaps in walls or floors, or with your packaged items or foodstuffs. You’ll find them in kitchens, laundries, basements and bathrooms, behind sinks, fridges and dishwashers, around the microwave or oven, and even in nearby drawers that are warm. Got a fishtank? Be sure to check the area around it, too. 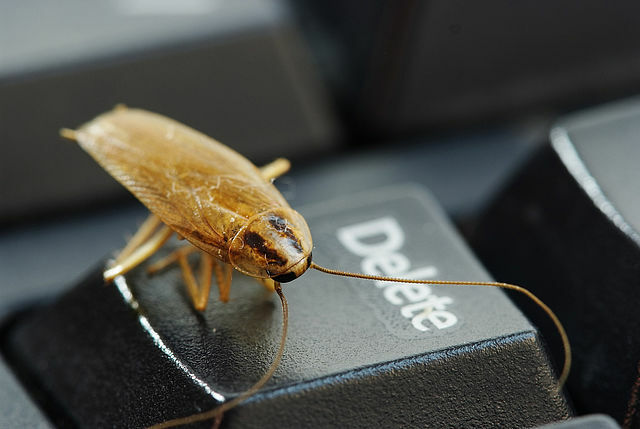 German cockroaches are very cheeky and have been known to short circuit electrical appliances, especially dishwashers. Don’t assume this will be covered in your product warranty either…it won’t! See those crumbs and scraps lying around? Either clean them up or be prepared for a cockroach invasion. They love rubbish and food scraps, as well as anywhere there is a water source – taps, shower recesses, sinks and fish tanks. Remove any food and water source by practising good food storage and hygiene, storing packets of food away from a water source and blocking any access to potential hiding places. Keep drawers and cupboard doors closed and block up any gaps in the flooring. You could try glue traps or introducing a dehumidifier to reduce the humidity in a particular warm and damp area of the house. But, realistically, cockroaches are notoriously hard to eradicate completely. When you’ve got a proper cockroach infestation, bring in the expertise of a qualified pest controller to handle the situation. 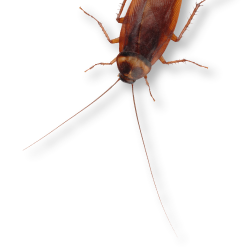 They can locate and destroy cockroach headquarters and work with you to establish a thorough cockroach management plan. Got a cockroach infestation? Contact Prestige Pest Control TODAY to locate and eliminate the source of your cockroach woes.